Nearly all of the Java examples presented on Oracle Distilled are developed and tested in Oracle JDeveloper with the exception of those documents targeting Netbeans. This document will detail how to add the Oracle JDBC driver included with JDeveloper to a project. Select the project name in the Application Navigator and either right click the project name and select Project Properties or from the menu select Edit then Properties. 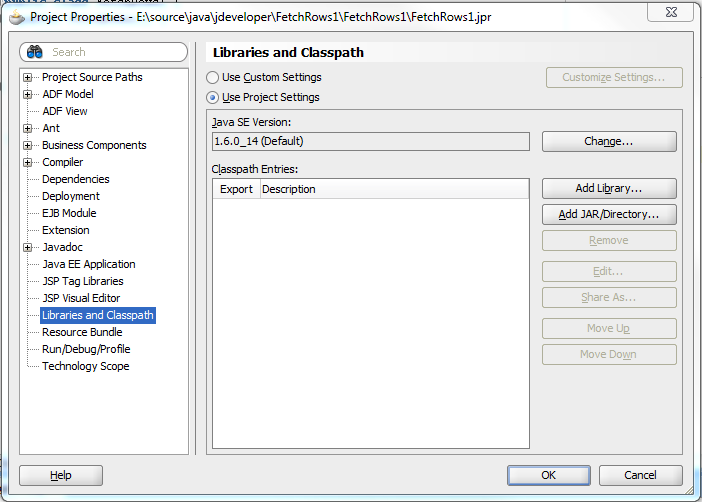 On the Project Properties dialog select Libraries and Classthpath on the left pane and then click the Add Library… button. 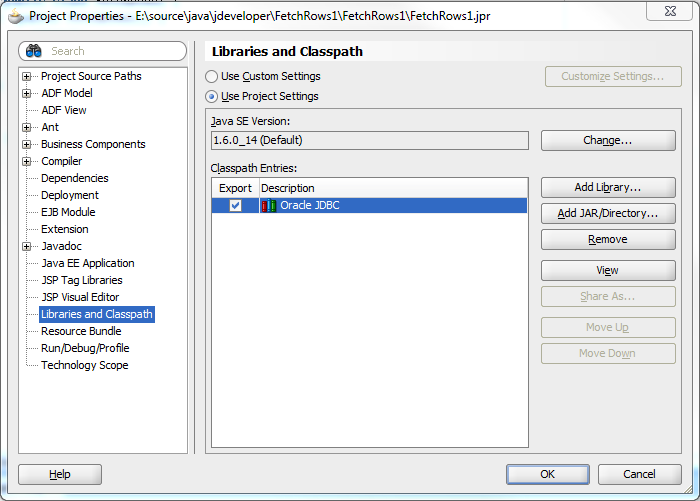 JDeveloper 11gR1 includes a rich set of libraries as can be seen on the Add Library dialog. 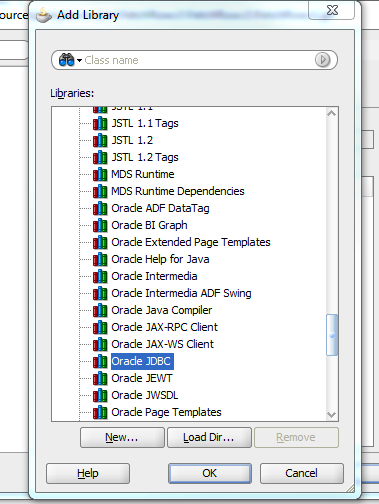 You will find the Oracle JBDC driver about ¾ of the way through the list of libraries and extensions. Select the Oracle JDBC library and click the OK button to continue. Back on the Project Properties dialog you will see that the Oracle JDBC driver is under the Classpath Entries. Click the OK button to leave the Project Properties dialog. Click the OK button to save the changes to the Project Properties.